This post is part of an on-going Ancestral Spotlight series that is created with the purpose of sharing my research and stories with family. Esther Marie Tyler is one of my maternal Great-Grandmothers. I never met Marie, as she died before my siblings and I were born. I love to listen to the stories about her. Below are a few details on her life that I gathered from one of her daughters. Very good at cooking and baking. Did a lot of canning to put food up for the winter. Her garden was large and fruitful. She baked bread 4 times a week and it never lasted long. She made homemade noodles and would dry them on a cloth draped over the back of a chair. She would sing them songs and recite poems she had learned in school. Including Strawberry Roan. She and Earnest broke wild horses that were captured and brought back from out west by Ross Snyder. She had thick, coarse red hair and had it permed once a year. Her mom died when she was 13 and she had to quit school and take care of her siblings. She went to school in Richland Center. She was a city girl who married a farm boy. She loved having company. She would bake pies and they would play euchre. She made the majority of her kids' clothes. Clean windows were important to her. She would use water, vinegar, and newspaper to clean them. In 1945, she alone accompanied the body of her father-in-law, Ulysses Grant Lindley, on the train back to Iowa so he could be laid to rest with his family. She always wore dresses and an apron. When she and Earnest did their trading on Saturday's they would try to get the kids circus peanuts, which were spendy at 39 cents a pound. Later in life, they had a radio and she listened to Saturday Night WLS Barn Dance and Our Gal Sunday. Esther Marie Tyler was the first born child of William John Tyler and Juliana Hanson. Marie was born on March 31, 1907 in Richland Center, Richland County, Wisconsin. Her paternal Grandparents were Charles R. Tyler and Mary Jane Gard. 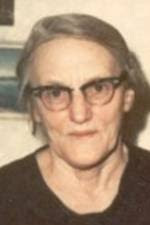 Her maternal Grandparents were Hans J Hanson and Antonette Hoff. 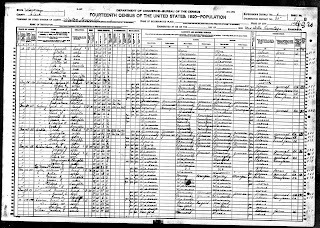 I knew Marie was born in Southwest Wisconsin in 1907 and yet was struggling to find her in the 1910 US Census. 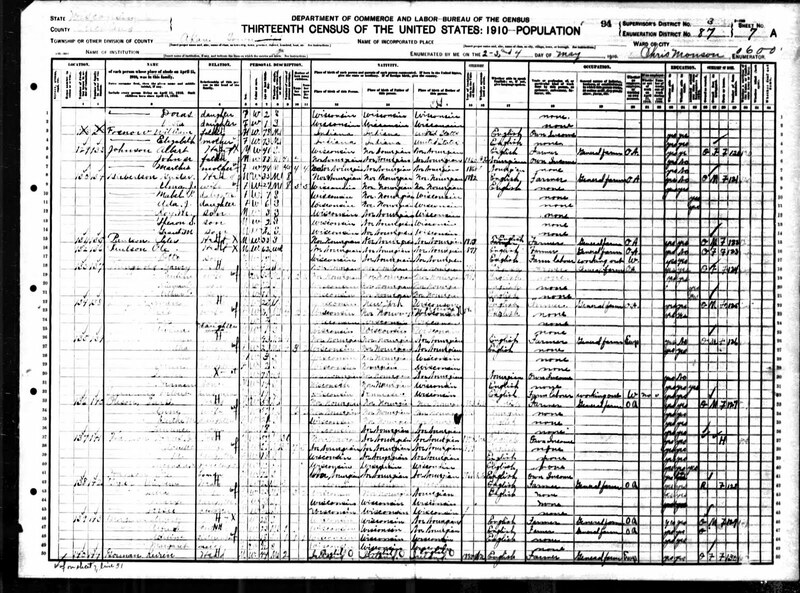 Locating this document turned into a challenge as her surname was spelled "Tayler" and her mother Julia was listed as "Nelia"! 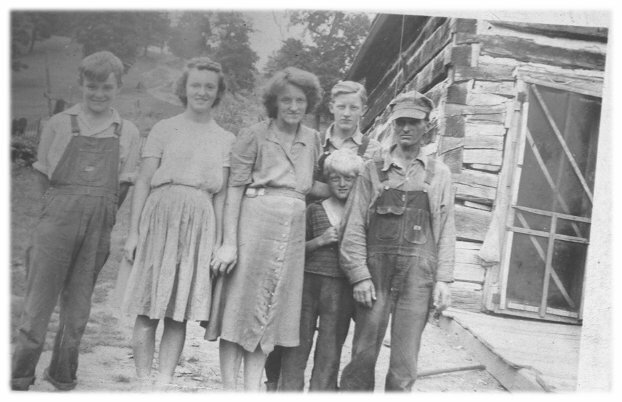 The actual scan of the image on Ancestry.com is rather poor and it is very hard to identify the family in it, but I have included it below nonetheless. 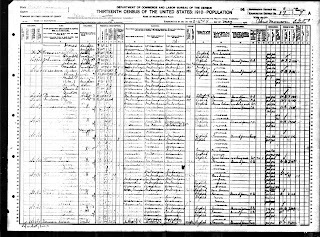 In the 1920 United States Federal Census, Marie E Tyler can be found living with her parents William & Julia, and 3 siblings: Jessie (10), Weldon (8), and Eldora (4). The family had relocated to Weston, Clark County, Wisconsin. I am not sure how they ended up in the Weston area, but it is within traveling distance of where they lived in Richland Center. This Census also shows that they are renting the land they were farming. 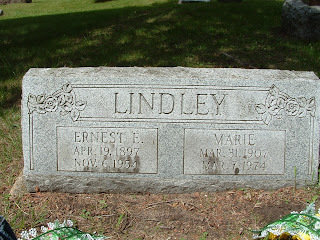 Marie married Earnest Lindley on 20 Nov 1924 in Richland Center, Richland County, Wisconsin. They were with child at the time. Marie gives birth to daughter Lilly Marie Lindley. Marie gives birth to son James W. Lindley. Marie gives birth to daughter Doris Lorraine Lindley. Marie gives birth to son Jesse L. Lindley. 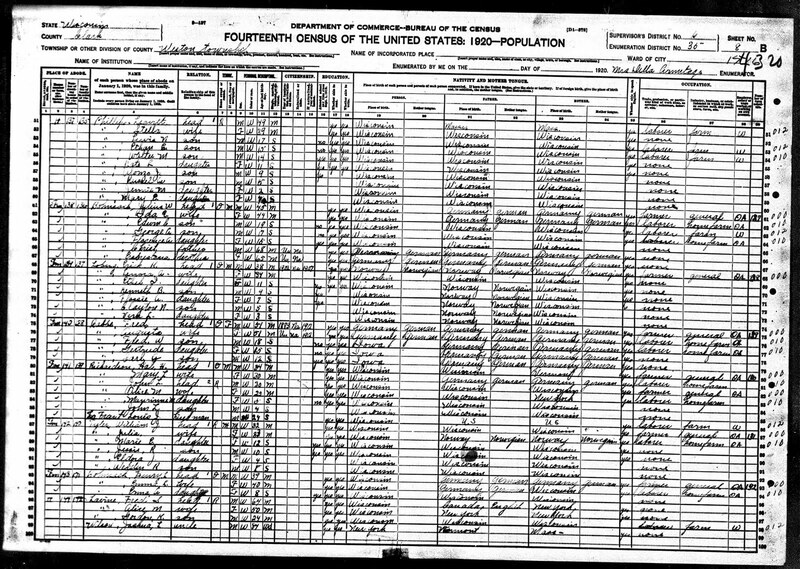 By the 1930 US Census, Earnest and Marie were living in Ithaca Township, Ricland County, Wisconsin and had two daughters and two sons: Lillie (6), James (4), Doris (2), Jesse (11 months). Also living with them were Earnest's father Ulysesses, Earnest's brother James and his wife Ethel, and Marie's sister Eldora. It was quite the full house! 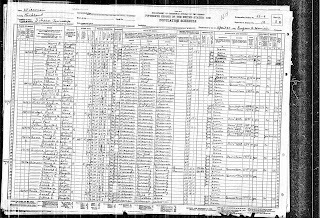 All the adult men were listed with the occupation of laborers in the "general farm" industry. Marie gives birth to son Allen Gene Lindley. Marie gives birth to daughter Ardith Lindley. [Late 1930's or early 1940's] The following photo has always been one of my favorites of the family, even though both of the older girls are not in it. The reason I love it so much is that it is their real life, not some photographer's studio, or some special occasion, but a snap shot of their daily life. The exact date of this photo is unknown, but judging by the age of Allen Gene, I would say that this was in the late 30's or early 40's. [1950-53] This is the last photo I have of Earnest and Marie together. 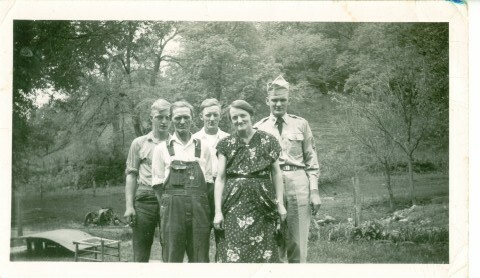 They are pictured below with their three sons: James, Allen, and Jesse. The exact date of this photo is unknown, but judging by Jesse's uniform it was right before he left to fight in the Korean War or shortly after his return. Earnest died of a heart-attack on 6 Nov 1954 while reading a book to a couple of his granddaughters. Marie, had to run to the next farm to use their phone to call for a doctor. I can't even imagine what she was feeling as she ran to make that call. Marie died on 7 Mar 1974 following a short illness. She and Earnest share a tombstone in the Boscobel Cemetery, Boscobel, Grant, Wisconsin. Their stone is pictured above. Marie's obituary appeared in The Capital Times, Saturday, March 9, 1974 (I have a scanned copy). I have included her obituary and funeral memorial below. Family and Friends, please leave any memories you have of Grandma Marie in the comment section below. This way, we call all enjoy them together. Looking at house in the background of the first picture - they must have been very poor. I recognize Jim, Allen (known as Gene) and Jesse - who is the other female besides Esther Marie? How nice you have a photo of all of them together. I have always wondered how men made a living in Wisconsin, the growing season is so short,and there isn't a huge amount of manufacturing. They must have loved the country there. She sounds like an industrious person that would have been nice to know. Congratulations on your Top 100 from My Heritage!